Did you know, that both astrology and Traditional Chinese Medicine (TCM) are more than 2,000 years old. Along with the introduction of Babylonian astrology, came the Chinese with their healing innovation through a wide range of practices, both medical, physical and spiritually transformative. Even though this form is still highly popular in China and even abroad, it has never been accepted by the western medical society. Despite the overwhelming fact, that numerous sickness, physical and mental problems are being cured with it every day. This doesn’t go without saying that a part of it would be based on a simple belief system, without questioning the real effects. But a commonly accepted approach to Chinese medicine is not to dismiss it, but neither to blindly accept it. Similar to astrology, the use motive is vitally important in achieving desired results. China is also known for many massage techniques, which are used together with other therapy methods such as acupuncture. But little are common people aware of the magnificent healing power of massage when done correctly as perfected during the many ancient dynasties. This is why it’s important to understand that massage is an important part of TCM. Without the understanding of a holistic concept of healing, the effects will be short lasted and reduced to simple pleasure. Stepping into a massage spa, or parlor in China looks very familiar to a western similar establishment (see picture above). With dim lights and comfortable chairs, that can change position from upright to horizontal. But don’t be fooled, as the experience you might have in a big city like Shanghai for example is something totally different. While comfort is of key importance, often enough there is “no gain without pain” as is a more western-known concept. In fact these massage therapy sessions can be rather vigorous and painful at times. Which is an important part of the process, to open locks in your muscles by kneading, pushing, twisting and stretching. The energy is moved along the meridians to create a harmonious balance in the body. That is why whole body massage is taken with all the clothes on, and no oils are being used. Going directly to the cause of streets or fatigue in your body, a skillful masseur will be able to maneuver through the mental tangles that are strained in your body. And of course, straighten them out leaving you with a soothing but often at times an odd feeling. This is the transformative power of traditional Chinese massage, that is like a world of it’s own. 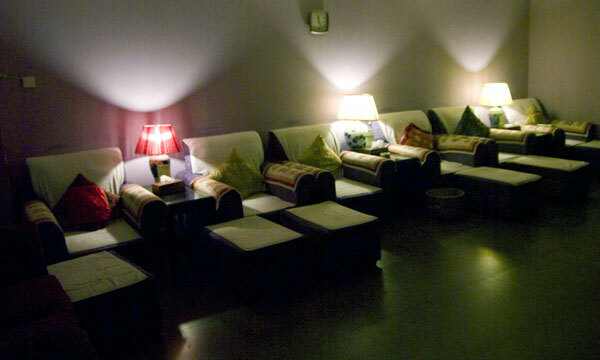 Foot massage might look like simple, relaxing fun to feel good and rejuvenate the feet. While this is part of the truth, it is actually one of the most painful forms of massage available in China today. Unfortunately shops have become aware of pain avoiding foreign visitors and convenient for them, started providing softer types of massage more suitable for the expectations. This will make the work easier for the masseur because less force needs to be applied. If one is serious about finding a quality massage experience in China or the city of Shanghai, it is absolutely vital to have a good recommendation from someone who can advice a place with not only licensed masseurs but one that has staff that can connect with your physique and bring amazing results. While all kinds of experience is important and easily attained with inexpensive rates, it is highly recommended to check out the Massage Guide in Shanghai to ask for a suitable, nearby parlor. In the end, it is important not just to find a suitable and safe parlor, but also to find a person that you can connect with and have frequent therapy sessions with. It is advised to steer away from dodgy shops that are all over Shanghai. Their services are often tilted towards sexual, or simply pleasure seeking. With many cases of fraud and even some dangerous circumstances are possible. But as mentioned, it’s really not just that but finding a professional service that can really take you to the original experience of this beautiful, ancient Chinese tradition is what can make your trip to Shanghai or other parts of China magical!